Every year, Canada welcomes thousands of new residents. Coming to Canada as an immigrant is an exciting opportunity, but also a great challenge. On this page you will find general information about immigration to Canada, information about jobs and information about what it's like to live in Canada. Whether you want to come to Canada to work, study or live permanently, you can find out if you are eligible in a matter of minutes. The Canadian Government website is a good place to start, you can check your eligibility and discover which immigration programs may be available for you to apply. Once you have established your eligibility, you can apply for the relevant path. Based on your answers you may be given options to apply for immigration under the Express Entry program, Global Talent Program, Self-Employed, Study Permit or other programs. You may be asked questions about your nationality, age, language, education, family, work experience, income/net worth or details of a job offer. It takes just 10-15 minutes to find out if you are eligible for immigration to Canada. Here are a few more usefull tips and links. 1. Having a job offer before you apply for immigration can help your chances of being accepted. 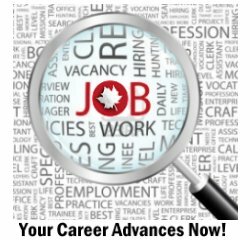 You can get search for jobs across Canada on our Canadian job search engine. 3. If you are an entrepreneur and wish to start a business in Canada, you may be eligible for Canada’s new Start-up Visa. 4. If you have family in Canada, they may be able to Sponsor you. 5. If you are a refugee find out how you can apply for refugee status. We often get questions from our website visitors about what the fees are for immigration applications. Fees vary depending on the path the type of application you file, and range from about $150-$1500 Canadian dollars. We suggest you complete the questions in the questionnaire above to determine your eligibility, then you can check the exact fees that apply to you. Canada is a big country. 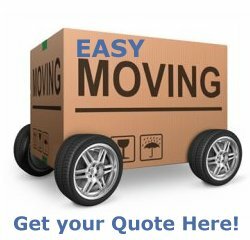 Knowing what jobs are available in a specific city or region can be a major factor in selecting the location you move to. Our Job Search Engine can help you identify where the jobs are and let you apply for them online. In some cases, particularly in regulated occupations where health and safety are important, you may have to get your professional and educational credentials recognized in Canada and you may need to determine if they are equivalent with Canadian credentials. Canadians enjoy one of the highest living standards in the world. Nationally, the average hourly wage in 2016 was $27.70. Because of the quality of life resulting from benefits such as educational opportunities and the health of our citizens as well as from material well-being, Canada has, since 1994, been ranked amongst the top nations by the United Nations in its human development index. There are many places to live in Canada and each city has it's own unique qualities. From the western spirit of Calgary to the dynamic and diverse metropolis of Toronto, you can explore over 50 Canadian cities, then dive deeper into education, sports, healthcare, clubs and associations, things to do with the kids and much more.